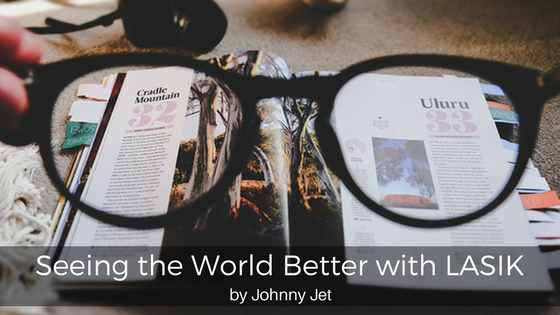 Airline, Travel & Points Blogger, as well as, Forbes Top 10 Travel Influencer 2017, Johnny Jet has started to notice some changes in his vision. Having the good fortune of never needing to wear glasses or contacts, Johnny naturally has some questions about what is happening to his eyesight, what he can do moving forward, and is LASIK a safe option for him. And that’s where Dr. Maloney was able to swoop in and lend a little expertise. I’ve always known I was lucky to have perfect or close to perfect vision. Everyone in my family wears contacts or glasses and I was free of the hassle of it all. Until earlier this year. I guess it was inevitable. I’m getting older and deteriorating vision seems par for the course. But with today’s technology and advancements in eye care, that doesn’t have to be the case. The American Refractive Surgery Council (ARSC) is a group of medical professionals and industry representatives with expertise in developing and researching vision correction surgeries. Through educational outreach programs, their goal is to help inform people about the benefits of corrective eye surgery, like LASIK, and highlighting how the procedure can help you see the world better. So dealing with poor or worsening vision as you age isn’t something you have to do. There is a solution. Johnny Jet: I’ve always had good vision. But, as I get older, my vision seems to be deteriorating. Why is that? Dr. Maloney: What you’re likely experiencing is called presbyopia. Presbyopia is a natural part of aging and affects everyone at some point in their 40s. What’s really happening is the lens in your eye stiffens up, becoming less flexible and making it hard to see things close up – like small print. Johnny Jet: Is LASIK an option? Will it correct presbyopia? 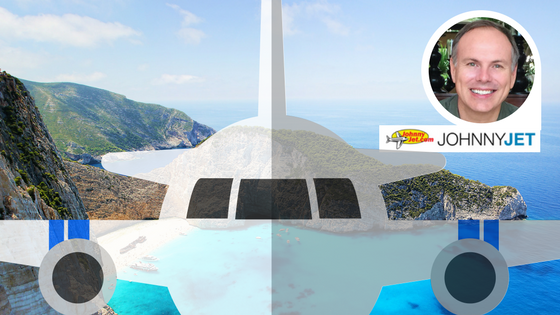 Johnny Jet: Does presbyopia continue to worsen as I age? If I choose LASIK, what other considerations should I think of? That’s a great endorsement for me so if my eyesight worsens, I would definitely consider the procedure. When I travel, I like things to be as streamlined as possible (although, now that my wife and I have a son, our travel is anything but streamlined but you can always dream, right?) Not having to fuss with glasses and worry about losing them when I’m on the road would be one less thing to think about. Plus, my one-year-old son thinks my glasses are a toy and he loves to grab them off my face and throw them on the ground or bang them on the table. I could get contact lenses but then I’d have to deal with contact solution and worry about losing them or ripping them when I travel … LASIK could solve all of this in one fell swoop! I’m still in the research part of the process, learning about LASIK’s success rate and trying to determine if LASIK is right for me but I would love to hear your thoughts. Have you had vision correction surgery? ARSC is listening, so if you have any questions they can address them on their Insight blog.